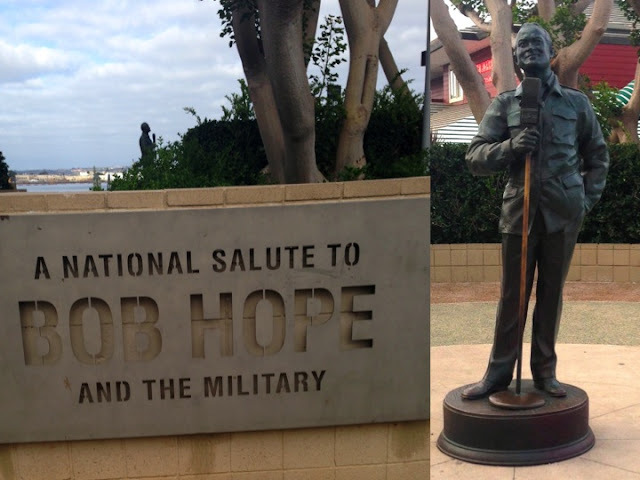 As we continued our walk on the harbor we came across another fab sculpture.. A National Salute to Bob Hope and the Military . We walked right in the middle to try to feel what it must have been like for all the great military people in all different wars to be entertained by Mr. Hope. 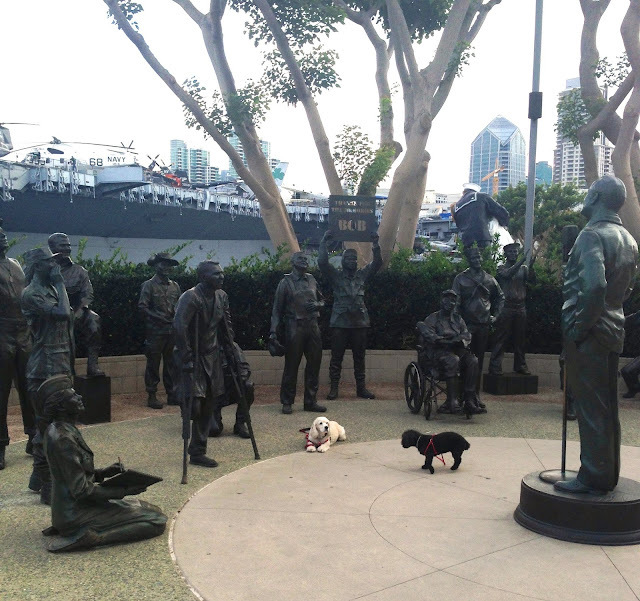 Its so nice for people, dogs and princesses to learn about history from these outdoor sculptures. Thanks for the memory! Wow that's amazing! A sculpture garden kind of. My Mom says she remembers Bob Hope's USO shows on TV when she was young. 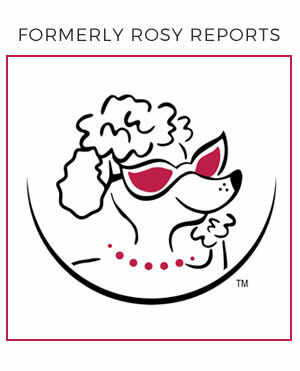 It looks like you girls are getting quite the education!